As our school theme for this year is Discovery, I spent some time this summer looking for some ideas on how to incorporate it into my seventh grade curriculum. Ok, honestly, it didn’t take me all that long to figure out. Being a member of the Discovery Educator Network, I knew I needed to include Discovery Education in our work in class on a daily basis. I also wanted to make sure that my students were pausing to reflect on their learning each day, so the two thoughts came together as our Discovery journal. 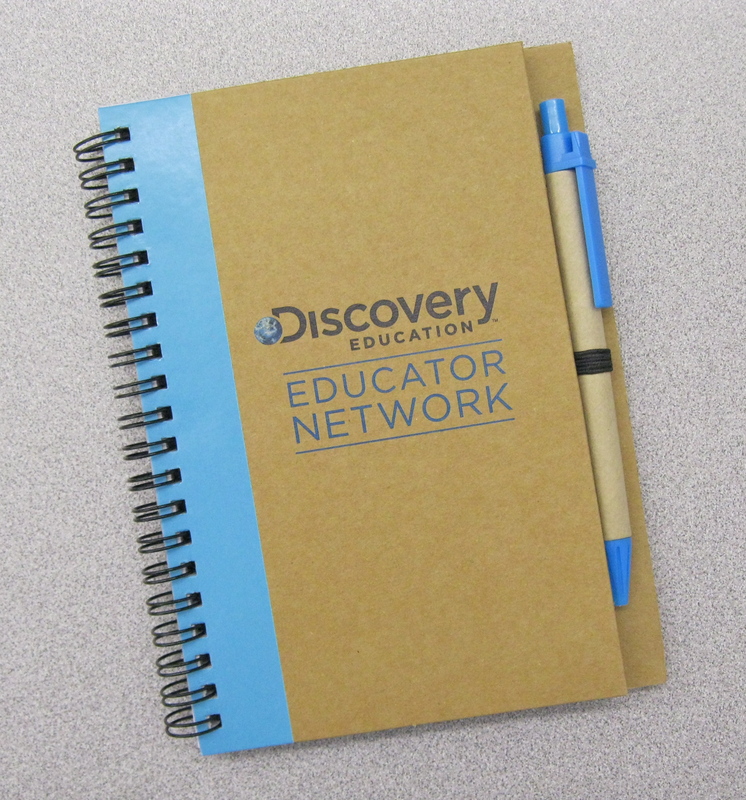 A tremendous “thank you” goes out to Mrs. Johansen from Discovery Education for sending each of us a supercool notebook that functions as our Discovery journal! Here’s how it works: Each day, students (and the teacher) will write at least one thing they discovered that day. It can be something academic that they learned in one of their classes that day, it can be something new that they learned about one of their classmates, or something that they discovered about themselves, in or out of the classroom. It’s important to note that all of their comments in their Discovery journals need to be positive. We’re not focusing on the negative this year! Please feel free to join us! What is one thing that you discovered today?